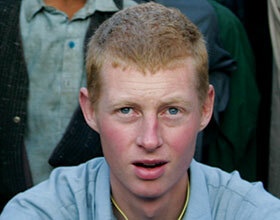 Paul charlton went to pakistan to spend time in the mountains. He returned to spend time with the people. 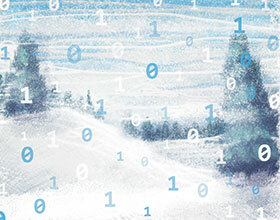 Data is piling up like snowflakes in a blizzard. A new Ph.D. program at Geisel is training students how to figure out what to do with it all. 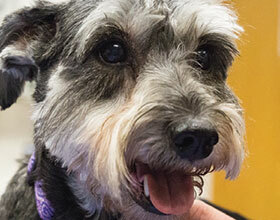 "A Dog has Its Day"
The future of cancer treatment is 12 years old, weighs 21 pounds, and wears a purple collar. Smoking has declined over the years, but a new cancer risk—obesity—may be taking its place. 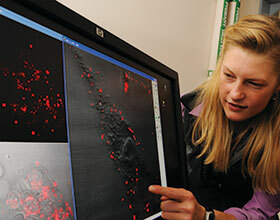 William Kinlaw and other Geisel researchers study how tumors obtain fat, research that supports a strong link between obesity and cancer. 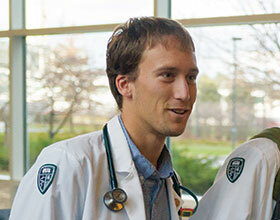 Medicine is changing, and medical education is changing with it. A pilot program at Geisel is testing a new approach to the first-year curriculum to give students more time with a faculty mentor and a long-term outlook on primary care. 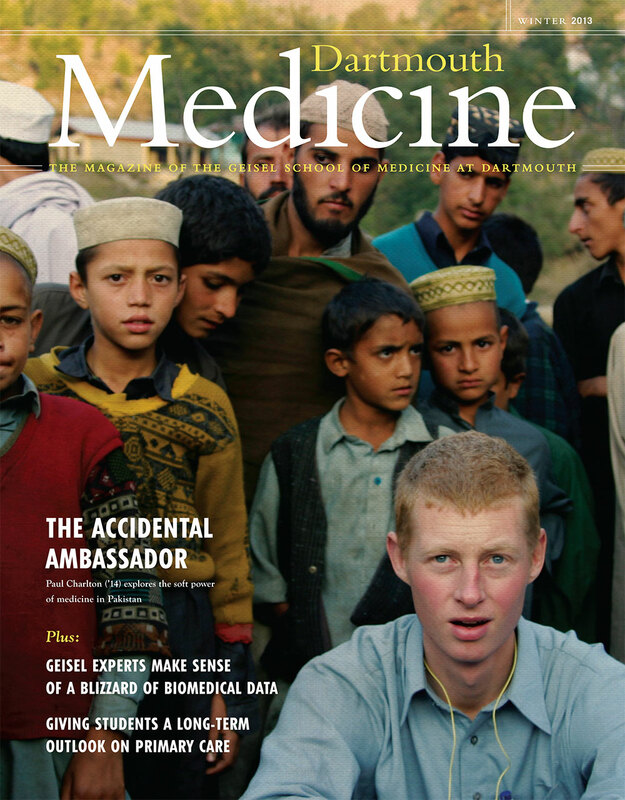 Third-year medical student Paul Charlton in Pakistan in the days following a deadly 2005 earthquake. "May I please see the prices on the menu? "—By Corey A. Siegel, M.D., M.S.